As he rises in the polls, former IDF Chief of Staff attempts to get Adina Bar-Shalom to run with his Hosen Yisrael party. Former IDF Chief of Staff Benny Gantz is reportedly holding talks with Adina Bar-Shalom, the daughter of former Sephardic Chief Rabbi Ovadiah Yosef, in an attempt to convince her to run on the Hosen Yisrael ticket. According to Yediot Aharonot, Gantz decided to launch the recruitment effort amid criticism that his party does not have enough female representatives. Bar-Shalom — the daughter of the former Sephardic Chief Rabbi of Israel, Ovadia Yosef, currently leads the "Achi Yisraeli" party but has not crossed the electoral threshold in any major poll. The two have been reportedly holding long-running negotiations to run together, as Gantz and his aides have held meetings with Adina Bar-Shalom to explore a joint run starting as far back as October. Bar-Shalom and Gantz agree on several major social issues, including permitting public transportation on Shabbat and allowing businesses to operate on the Jewish day of rest. 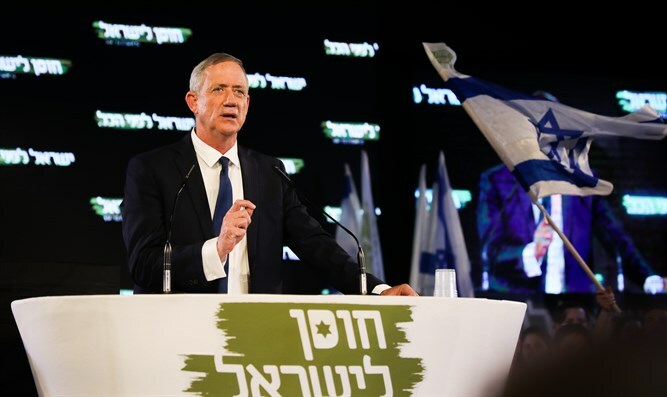 The talks come as Gantz's Hosen Yisrael has enjoyed a rapid rise in the polls following the former general's maiden political speech earlier this week. In a series of surveys published Wednesday evening, Hosen Yisrael rose from the 12 seats they had been at previously to anywhere between 21 and 24 Knesset seats. A 72-year-old mother of three, Bar-Shalom won the 2014 Israel Prize for her work as a haredi educator, including the founding of the first haredi women’s college in 2001. Bar-Shalom drew criticism in 2011 when she endorsed a plan calling on Israel to surrender the Golan Heights and enable the establishment of a Palestinian state with Jerusalem as its capital. In May of that year, Bar-Shalom again raised eyebrows when she joined a delegation of Israeli activists in a meeting with senior Palestinian Authority officials in Ramallah. Bar-Shalom' had supported Shas while it was headed by her father Rabbi Ovadiah Yosef until he passed away in October 2013. She has since become an avowed opponent of Shas and its leader Aryeh Deri, saying in March that "it is a shame that he went to jail and became completely corrupt."